Brighten your smile - Oil pulling for a healthier, cleaner mouth. Swish de Coco™ Coconut Oil Pulling is a perfect blend of oils to promote a healthier mouth. Step 1: Put a spoonful of Swish de Coco™ in mouth. Step 2: Swish it for 5-20 minutes. Step 3: Spit out in a trash can, rinse with warm water and feel coco-mint fresh! Oil pulling is a growing trend, but it's not new. 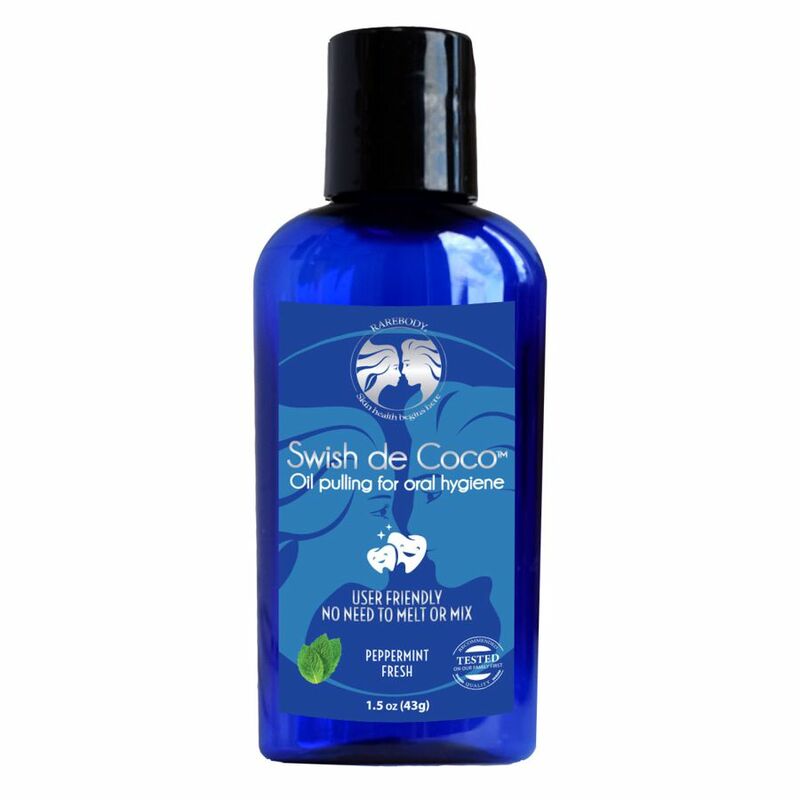 Swish de Coco™ was formulated by the granddaughters of Jacques and Yvette Delangre, the founders of the Celtic Sea Salt® brand and is an ancient Ayurveda practice known as Oil Pulling, the 'swishing" around of oil in a person's mouth known for reducing plaques, removing bad bacteria, freshening breath, creating whiter teeth and healthier gums. 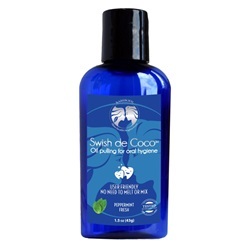 Swish de Coco™ ingredients are 100% preservative free! No bad stuff!